One of the most nerve wracking things on the face of the planet is having to wait for a decision that could impact your future. When you get arrested for a DUI and you submit a BAC test, chances are that the charge is not going to come immediately. What is the waiting period and what should you be preparing yourself for in this amount of time? A DUI stop can occur at an Arizona checkpoint or if a police officer has a cause to believe that the driver is under the influence. The traffic stop will typically consist of having to show documents and answer questions asked by the law enforcement professional. Based on their observation, a police officer could ask you to do a field sobriety test (that you can politely turn down) or they’ll take you to a police station on accounts of being intoxicated. At the police station, a standard BAC test will be administered (typically via a blood draw). The test results will show whether there was intoxication or impairment above the legal limit for the state. This information will also be used to charge the respective individual. The prosecution has a certain amount of time in which it can charge you with driving under the influence. DUI statutes of limitation depend on the type of crime being committed and whether it is classified as a misdemeanor or a felony. According to Arizona Revised Statutes 13-107, the statute of limitations for misdemeanor DUI charges is one year from the date of the arrest. In this one year, the state has the formal right to file charges against you. For felony DUIs, the statute of limitations is increased to seven years from the date of getting arrested. If the statute of limitation expires before the prosecution has brought charges against you, these charges will be dismissed completely and they’ll have no impact on your criminal record. As you can see, however, the state does have a pretty long time period in which to file DUI charges. Click here to find out what to expect for your first DUI in Arizona. A few exceptions to the general rules outlined above do exist. The most common exception applies to an individual from another state who is visiting Arizona for a brief time period. Arizonans moving to other states will also fall under the statute of limitations exception in the case of a DUI. According to Arizona Revised Statutes 13-107(D), the one-year period will be suspended while the defendant is out of state. 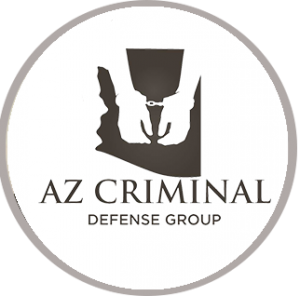 Thus, if you’re thinking about leaving Arizona for the purpose of avoiding the criminal process, you will not be accomplishing anything. Once the defendant comes back to Arizona, the clock will start ticking once again. Whenever previous charges have been dropped by the prosecution before the end of the one-year period, another exception may be applied. Under Arizona law, the prosecutor has the right to re-file documents at any point during the six months following the final dismissal or within the initial one-year period (whichever of the two is longer). Statute of limitations laws for criminal offenses can be very complex and you may be incapable of getting off the hook for years to come. This is why you need to talk to an experienced DUI attorney, whether you’re facing misdemeanor or felony charges. 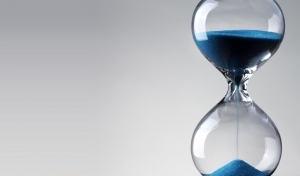 Arizona DUI lawyers are aware of the specific statute of limitations and the exceptions that may apply. Based on these knowledge, they will suggest a course of action that will make the most sense under the circumstances.